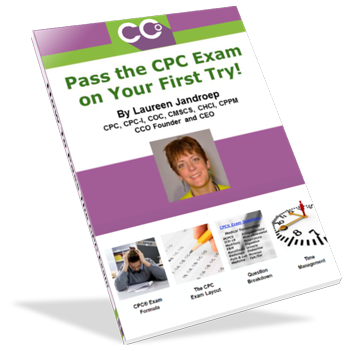 Pass the CPC Exam on Your First Try! Free 47 Page PDF Blueprint! In medical coding, we at CCO have been teaching medical coders how to pass the CPC® Exam since 1999. What Will You Learn from the PDF Handout? Formula for CPC® Exam success. Here are just a few of the tips you will learn. 4 Best Practices to better prepare you for your exam. Ignore these at your own risk of failing! What does the actual exam look like? Learn the passing grades and the structure of the CPC® exam. Know what to expect on the exam so you will know what your focus of study needs to be. How to answer questions and finish ON TIME and with the best chance of passing your CPC® Exam. Yes, Please Send Me the PDF! We are fully dedicated to our students. When you buy our practice exams, there is no need to worry about customer support. With thousands of users and counting, you cannot go wrong with CCO. Check out what our students are saying about us!